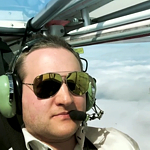 English and Polish discussion and support in this topic / Dyskusja po polsku i po angielsku w tym temacie. Please note: it is recommended to use http://www.7-zip.org/download.html to decompress the product. 7zip is a well-known and a very effective freeware compression software, handling large files very well. They should be placed into the FSW\Addon Scenery\Seattle X\Scenery folder. Please note - this is a rare case and we are not sure what is causing it but the fix is 100% effective. I bought Seattle Airport X on simMarket. so I cannot finished install. The whole ZIP should be around 4,5GB in size. You probably need to redownload the package. Since the file is large it might be a good idea to use a download manager, especially if the internet connection is not stable enough. Reading you imfomation page on the airports. does it mean with our purchased version 1.0 that the update to 1.1 will cost us and extra $10 eur? 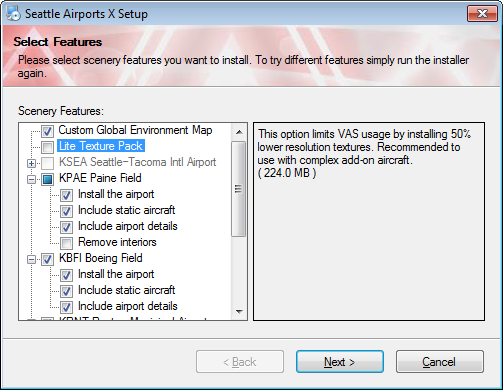 Please note: the upcoming v1.1 update of this product will be payware (~10eur) and will add KSEA Seattle-Tacoma airport and other details. The update will not be obligatory but highly recommended. After the update the price of the package will be equal to the v1.0+v1.1 update. If you choose to update - yes. The update featuring a future version of KSEA will probably be ready in about 1,5-2 months from now. The product now costs 25€, the update will cost ~10€ and when it is published the only purchasing option will be the whole package for ~35€. This gives you an advantage of getting the product 2 months ealier and at ~70% of the expected final price of 35€. just bought seattle airport via simmarket. I have downloaded the file and get the same problem as rera_sikani. But with a little difference: The downloaded file (Seattle_Airports_X.7z) has the complete size (4.622,59 KB9). No way to open or install. I have the same issue as Rolfh. Full file sizes but the installer won't open correctly. If run as admin it prompts an error message saying the installer cannot be found. If not run as admin (not recommended, I know, just did it to see) then it says the program cannot be run by my PC. Doing my third download now using a different download manager. We'll see. Looking forward to getting in at PAE. Definitely this is not related to the installer itself, rather to download/compression. You may try opening the ZIP with http://www.7-zip.org/download.html , which is a well-known and a very effective freeware compression software. Hope this helps. thanks a lot. Problem is solved. So was it a decompression software or something else? Success!! Thanks so much. Can't wait to check out this amazing scenery. Using Free Download Manager 5 and 7 Zip worked like a charm. PAE, S50 and BFI look fantastic, but I'm having an elevation issue at RNT. The pavement for the entire airport seems to be about 2 meters lower than the rest of the scenery. So the runway is lower than the water, the roads, and the grass on the airport. P3D V4 won't let me control layering in external scenery so I'm not sure what I can do here.